Find out why businesses usually incur problems due to refusal to get proper accounting services. 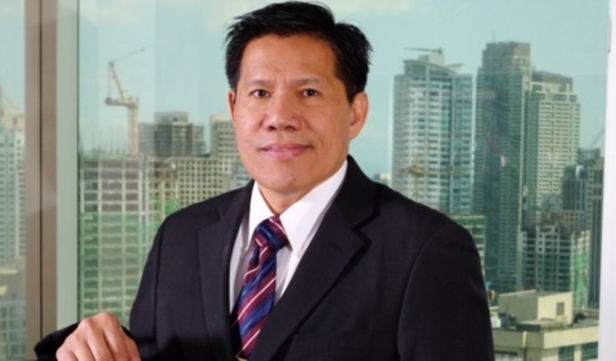 CPA Ramon Garcia heads an audit and management services firm in the Philippines. In 2007, his firm became a member of Crowe Horwath, one of the top 10 accounting services companies in the world and No. 5 in the Asia-Pacific. He shares his insights on what entrepreneurs will miss if they don't keep close watch of the administrative side of the business. Question: How did you become an entrepreneur? Answer: Since 4th year high school, I was a working student attending to the day-to-day operations of my eldest brother's mini grocery store. My brother trusted me even at a young age to do the merchandising of goods. Divisoria was a normal place for me to buy the goods, as the price there was the lowest. When I was in college, I was assigned to man my brother's tires, batteries, and car accessories store. This is where I was exposed to salesmanship and sourcing of goods. I was exposed to risk-taking at a young age. After graduation from college, I told my brother that I want to practice my profession. After understanding what accounting career is, I trained my eyes in becoming one of the partners of Carlos J. Valdes. But God has another plan for me. I had a falling out with a partner of Carlos Valdes due to differences in value system. Being exposed to risks with my eldest brother, I decided to put up my own accounting firm. With a ream of letterhead, a box of business cards, and a borrowed table, I started the practice in our rented apartment as my office. Starting a practice was no joke. Initial income was almost nil. When you are 26 years old, getting clients is a major challenge. Since income is small and will not be able to sustain our daily family needs, my wife and I had to engage in buy and sell of t-shirts, pants, ladies’ underwear, bags, and shoes. We also joined [a number of] ‘tiangge’ and bought stalls in Baclaran. The income from these businesses sustained us while income from my practice was still minimal. Q: What lead you to partnering with Crowe Horwath? A: Being a member of Crowe Horwath cannot be attributed to my effort; it's by God's grace. Back then (2007), our firm was a member of AGN International, ranked 15th worldwide. When the Philippine member firm of Crowe Horwath resigned from the network, Crowe Horwath looked for replacements. It so happened that back then, I was very active in the profession and the International Director of Horwath International (old name of Crowe Horwath International) contacted me. It was my prayer for our firm to be a member of the top 10 global accounting networks. Our prayers were answered because Crowe Horwath International (CHI) was ranked No. 9 in the world and 5th largest in Asia Pacific then. I know that if we will be accepted, this will boost our credibility and our chances of getting bigger clients will increase. Q: What's your competitive edge vs. other big accounting firms? 2. Solutions oriented in approaching clients’ business problems and situations. We gained lots of clients because of referrals due to the assistance and help we rendered to our clients in their business. 3. Our focus has been on delivering the services rather than the fees to be earned; the value of establishing long term relationship rather than short term gain. 4. Our fee is 25% to 30% less than the Big 4 firms for the same kind and quality of services. Q: What are the top three things that entrepreneurs take for granted and how can you help them? a. Proper record keeping. 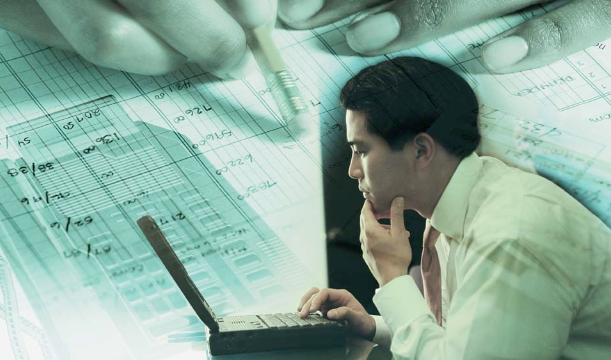 Majority of micro and small enterprises have ignored proper record keeping monitoring their actual performance and their actual financial status as of certain cut-off dates. Most of them see accounting for tax purposes only a necessary evil. Because of this failure, they wake up with lots of problems: bills piling up, inability to pay rent and other fixed expenses on time. In short, they are creating cash flow problem. b. Failure to cope with the growing business. When a micro is metamorphosing into a small enterprise, owners usually don't upgrade their skills. They also fail to make use of professionals/ consultants to help them. The result—their systems cannot cope with the fast growing business and the business implodes because customers are disgruntled, employees are demoralized, pilferages increase, and eventually there’s a cash flow problem. c. Many entrepreneurs don't prepare a written plan and budget. As the saying goes, when you fail to plan, you plan to fail. Many entrepreneurs fail because they do not bother to know the costs and how and when they will be able to recover those. A lot of our small clients have cash flow problems because from the very start, they ignore to plan and determine whether they will be able to sustain their operations given the little capital they have. They don't have contingency measures. Our firm's mission is “to help our clients’ business grow.” We do not only record the business transactions but also explain to clients the implications of said transactions and guide them for the proper stewardship of their business. In many instances, we point to clients’ areas where they can save on costs and areas where they can maximize their revenues. We also have instances where we improve and streamline internal control and operational system, which in turn improve their productivity and efficiency and save the company 5% to 10% of their operating costs. We have also assisted our clients in their planning needs by providing important data necessary to come out with workable plans. We also give inputs on the industry where our clients belong. We have seen several clients that have improved their operations and are happy as their businesses grow. Q: How can clients convert an engagement with your firm from expense to savings? A: Actually, it is not our client that converts an engagement from expense to savings but us. From the very start, we make sure that the services we will render will benefit the company more than what they are paying for. We explain to prospects how our services will create an impact in their operations either in actual savings or increased efficiency. To give you an example, we just concluded a study of a joint venture project in the Philippines. Our mandate is to come out with an alternative corporate structure versus the conventional way of structuring it in accordance with existing Philippine laws, rules, and regulations. As the prospective clients explain their proposed business and how they plan to structure it, we already know that we will be able to come out with a better-structured company that could save them millions of pesos. The result: our clients are very happy and are now giving their full trust and confidence to us even in other areas of their operations. A: We want to further strengthen our organization by recruiting the best talents available and train them to deliver quality service. We want to expand our coverage to cover key cities in the Philippines. We will be hiring professionals other than accountants and we will create strategic alliance with other firms.